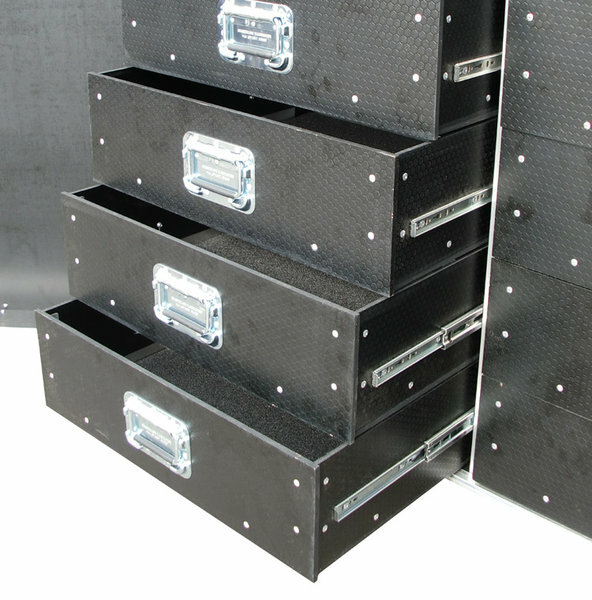 Flightcase Warehouse are one of the leading suppliers of custom Flight cases to the Music Industry. 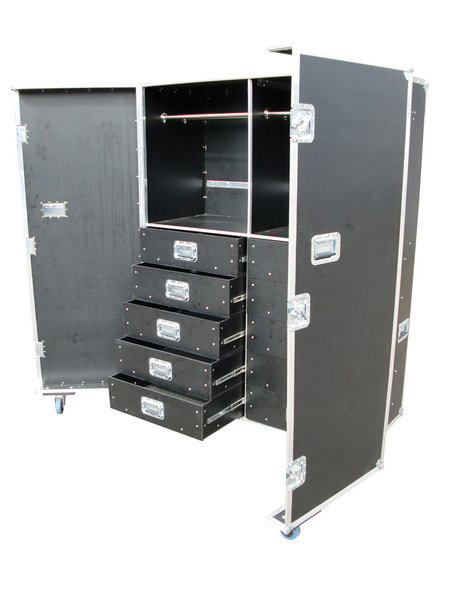 We were approached by the Tour manager of a very well known British band to manufacture a Wardrobe Case that would be used on a European Tour. The criteria was to produce a Flight Case which would be used to carry specific items, incluing shoes, clothing and bathroom accessories. The case was designed by our in house design team and delivered on time and within budget.